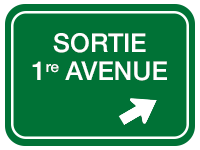 TOIT-OUVRANT, CAMÉRA DE RECUL AVEC ALERTE DE CIRCULATION TRANSVERSALE ET SONAR DE STATIONNEMENT, MONITEUR D'ANGLES MORTS, SYSTÈME PRÉ COLLISION / DÉTECTION PIÉTON ET CYCLISTES, AVERTISSEMENT DE SORTIE DE VOIE AVEC ASSISTANCE À LA DIRECTION, INTÉRIEUR NULUXE / GARNITURE ALUMINIUM, ÉCLAIRAGE AMBIANT À DEL, SIÈGES AVANT ÉLECTRIQUES / CHAUFFANTS ET VENTILÉS, SIÈGE CONDUCTEUR À MÉMOIRE, VENTILATION AUTOMATIQUE BI-ZONE, AUDIO PREMIUM LEXUS AVEC ÉCRAN 8’’ / COMPATIBILITÉ APPLE CAR PLAY / ENFORM 2.0 / AM / FM / CD / USB / AUX / MP3 / WMA / RADIO SATELLITE INTÉGRÉ À 10 HAUT-PARLEURS, VOLANT GAINÉ DE CUIR / F SPORT / CHAUFFANT / INCLINABLE ET TÉLESCOPIQUE ÉLECTRIQUE AVEC PÉDALIER DE CHANGEMENT DE VITESSES / COMMANDE AUDIO / BLUETOOTH ET RÉGULATEUR DE VITESSE À RADAR, SMART KEY SYSTEM, DÉMARRAGE À BOUTON POUSSOIR, FONCTION AUTOMATIQUE DES PHARES DE ROUTES (DEL), JANTES LEXUS 19’’, ESSUIE GLACE ACTIVÉ PAR LA PLUIE, BI-PHARES À LED, PHARES ANTIBROUILLARD ET ENCORE PLUS!! DÉTAILS F SPORT: SUSPENSION VARIABLE ADAPTATIVE, MODE SPORT+, CONTRÔLE SONORE ACTIF, VOLANT 3 BRANCHES / SIÈGES F SPORT / PÉDALES EN ALUMINIUM, GROUPE D’INSTRUMENT LFA COMPLÈTEMENT DIGITALE, CALANDRE AVANT AVEC CONTOUR NOIR SATIN, JANTES ALUMINIUM 19’’ F SPORT AVEC ORNEMENT DE ROUE. LSS+ 2.0 INCLUS: SYSTÈME AVERTISSEMENT DE SORTIE DE VOIE AVEC ASSISTANCE À LA DIRECTION, SYSTÈME DE PRÉ-COLLISION AVEC DÉTECTION PIÉTONS ET CYCLISTES, RÉGULATEUR DE VITESSE À RADAR DYNAMIQUE ET FONCTION AUTOMATIQUE DES PHARES DE ROUTE. MOONROOF, REAR BACKUP CAMERA W / REAR CROSS TRAFFIC ALERT AND PARKING SENSOR, BLIND SPOT MONITOR, PRE COLLISION SYSTEM W/ BICYCLE AND PEDESTRIAN DETECTION, LANE TRACING ASSIST, PREMIUM NULUXE INTERIOR / ALUMINIUM TRIM, LED AMBIENT LIGHTING, ELECTRIC / HEATED AND VENTILATED FRONT SEATS, DRIVER MEMORY SEAT, AUTOMATIC DUAL ZONE CLIMATE CONTROL, PREMIUM LEXUS AUDIO W/ 8’’ DISPLAY / APPLE CARPLAY COMPATIBILITY / ENFORM 2.0 / AM / FM / CD / USB / AUX / MP3 / WMA / INTEGRATED SATELLITE RADIO W/ 10 SPEAKERS, 3 SPOKE LEATHER WRAPPED / HEATED / POWER TILT AND TELESCOPIC STEERING WHEEL W/ PADDLE SHIFTER / AUDIO CONTROL / BLUETOOTH AND DYNAMIC RADAR CRUISE CONTROL, SMARTKEY SYSTEM, PUSH START BUTTON, AUTOMATIC HIGH BEAM (LED), 19’’ LEXUS ALLOY WHEELS, RAIN SENSING WIPERS, BI-LED HEADLAMPS, FOG LIGHTS AND MORE!! F SPORT DETAILS; ADAPTIVE VARIABLE SUSPENSION, DRIVE MODE SELECT W/ SPORT+ MODE, ACTIVE NOISE CONTROL, 3 SPOKE STEERING WHEEL / ALUMINIUM PEDALS, COMPLETE DIGITAL LFA CLUSTER, FRONT GRILLE W/ SATIN BLACK SURROUND, 19’’ F SPORT ALUMINIUM ALLOY WHEELS W/ ORNEMENT. 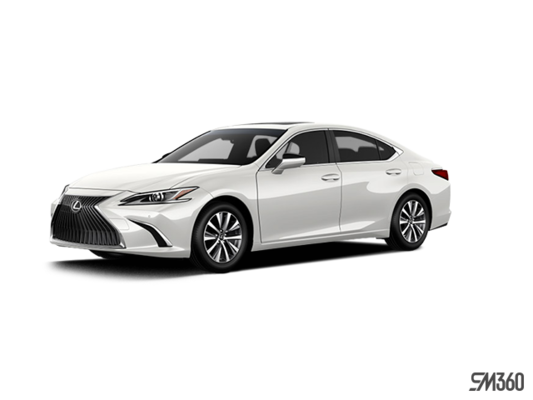 Ce véhicule d’occasion Lexus ES 350 F SPORT I; CUIR TOIT ANGLES MORTS CARPLAY LSS+ 2019 à vendre chez Spinelli Lexus Lachine, votre concessionnaire Lexus est probablement celui qu’il vous faut en 2019! ce véhicule d’occasion Lexus ES 350 F SPORT I; CUIR TOIT ANGLES MORTS CARPLAY LSS+ 2019 à vendre au prix de 52 795 $ chez Spinelli Lexus Lachine aura tout pour vous plaire.